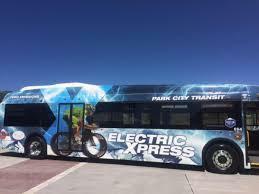 Park City and Summit County rolled out six new zero-emission, battery electric busses Friday that will transport riders between the Kimball Junction and Park City transit centers in 20 minutes with just two stops. 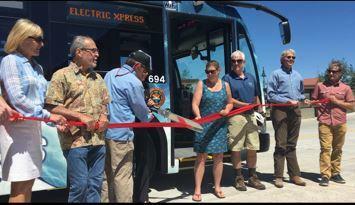 KPCW’s Leslie Thatcher was there for the ribbon cutting of the Electric Xpress and has this report. As an afternoon snowstorm blanketed Kimball Junction, dignitaries from Summit County and Park City gathered to officially inaugurate the Kimball Transit Center. Rick Brough has more. At the most recent meeting of the Summit County Council of Governments, members of the Summit County Council and local mayors discussed if they want to proposed a new county-wide sales tax to fund transit improvements - and if so, when would they put it on the ballot. Rick Brough has more. As we reported, the Councils of Summit County and Park City met earlier this week to discuss how to extend mass transit. 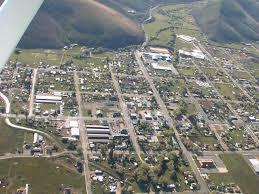 But County Council David Ure said reaching out to South Summit has its challenges. Rick Brough has more.